Any jewellery addict will know that they choose pieces to reflect their style or personality as well as bring a look together with accessories to complete a style of your own. 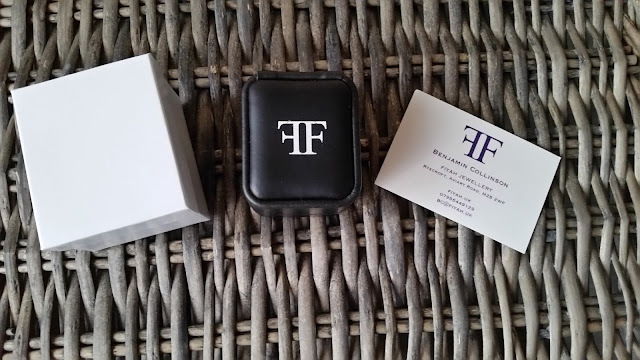 Fiyah Jewellery design stunning pieces with touches of elegance whilst still being fashion forward incorporating an underlying urban feel to every piece in their collection. "FIYAH believes in creating and embracing positive energy. It embodies strength, confidence and power, and is inspired by nature, mysticism, music and sophisticated street style to make pieces that expresses your individuality and creativity." Making your own rules on how you want to wear Fiyah's jewellery gives the customer a freedom of what they want and can buy from the collection, giving the collection a more unique appeal to everyone! 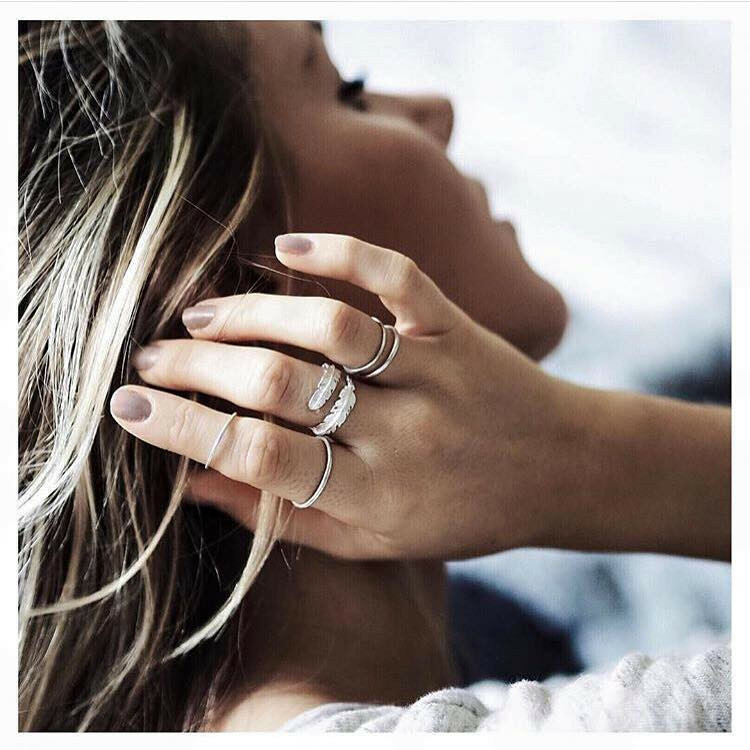 The stunning unique collection ranges from rings, bracelets and earrings and each piece oozes elegance with individuality that you know the customer has been thought of when the collection was being designed. 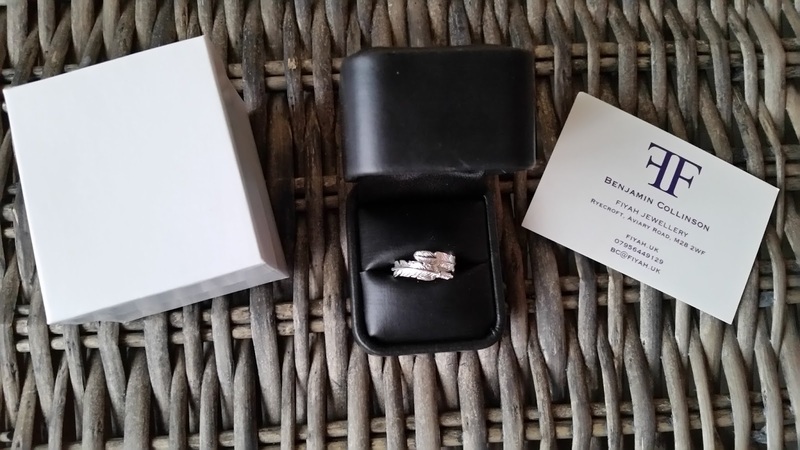 I was so excited to blog about this collection and couldn't wait to open the ring box that was sent to me. The ring box which has a sophisticated appeal to it with FF initials in white over the black background and the textured feel of the ring lid box gives you the confidence your jewellery will be safe, when unworn, in this box. The adjustable plume ring is stunning with precise design. Cast in sterling silver and coated in pure silver makes this piece shine from every angle when worn, making this a "statement" on your finger. You don't even have to worry about size as this adjusts with ease sitting comfortably on any finger you wish to wear this ring on. Fiyah Jewellery offers you stunning statement pieces that you choose how to wear, to fit into your unique style and with no age barrier or fashion segregation, to me, this collection is every fashionista's dream!